That’s the goal of Dr Robert Faulkner, MLC’s Director of Music, who has spent most of his professional life working with young people, making music with them and helping them to develop their musical potential. 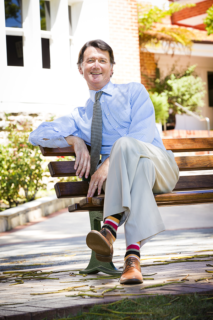 Now Dr Robert Faulkner has brought his 25 years plus of experience and expertise to MLC. 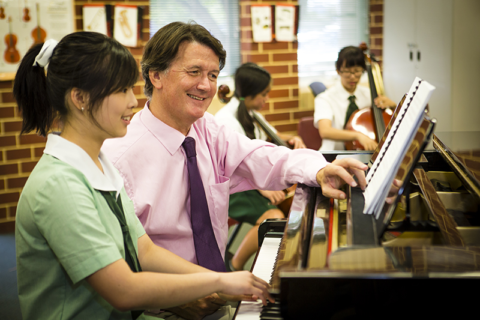 He recently left his post as Associate Professor at the University of Western Australia to take up his role at the College as MLC was the perfect place to “return to my first and greatest passion,” evidenced-based music education. At UWA, Dr Faulkner was working on a significant research project with the chairs of Music at UWA and Melbourne University, following the musical lives of 150 young Australians for 14 years. The result of that research was published last year in the book Music in Our Lives. However, the scope of work at the university could not fulfil him. 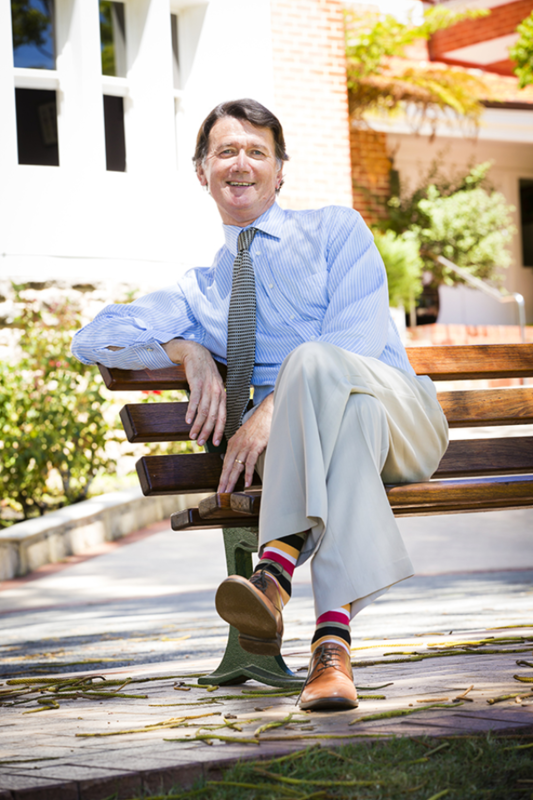 “While I've conducted operas at UWA, taught in the School of Music and more recently been involved in the design and teaching of new courses and a new initial teacher education degree for Early Childhood, where I've been able to push my belief in the importance of the arts in the Early Years, I had been missing music making and music teaching,” Dr Faulkner said. Although only taking up his position in February, the new Director of Music has a more than five-year association with the College. His daughter Nanna (2012) started at MLC in Year 8, after arriving in Australia from her native Iceland. “Six months aside, none of her previous schooling had been in English, so it was a huge challenge for her to come to Australia,” Dr. Faulkner said. “She blossomed at MLC, grew into a wonderful young woman, completing Year 12 in 2012, and she has just commenced a Bachelor of Music in Classical Music at WAAPA. Nanna is not his only link to the school. Dr. Faulkner’s wife, Juliet, whom he met at the Royal Academy of Music in London, also teaches at the College. She has regularly played for MLC choirs and instrumentalists in school concerts, exams and Eisteddfods, and was part of the award-winning Llangollen Eisteddfod in the last MLC Music Tour. While maintaining and building on the tremendous achievements of the College’s premier ensembles, Dr Faulkner says there is room to look at how music impacts the early years to support holistic development in social, physical, intellectual, creative and emotional domains. “There is scope for us to increase the use of students' musical instruments in classroom music across the College, to normalise music performance, foster composing and improvising, introduce some world musics and increase popular music representation to broaden musicianship,” he said. Much of Dr Faulkner’s “can-do” attitude comes from spending more than a decade in the creative enclave, Iceland. It has produced innovative musicians such as Bjorg, Sigur Ros and Of Monsters and Men. He says the nation of less than 320,000 people has a remarkably good symphony orchestra and a national opera company. “There are probably more Icelandic singers per capita singing at European Opera houses than from any other country in the world,” he said. Dr Faulkner has strong views on the way music is taught is schools in Australia. He says he has seen a divide between instrumental or vocal music learning and what goes on in music classrooms. “Our instruments are not just for playing dead people's music and we should be using them for a good deal more than rehearsing and performing notated music,” he said. Dr Faulkner is also encouraging the College’s music staff to broaden their horizons and continue to research their craft, as he will do once he finds his feet at MLC. “I am engaged with collaborators from leading Australian universities looking at something we have called "musical futures". We are looking at values and beliefs around music education and in particular settings,” he said. “We are particularly interested in unpacking some of the universal issues around music education: why do students and parents find music learning so expendable as students approach the higher years in school? What kinds of values and beliefs sustain good music education or even undermine it. Why and how is it possible to maintain the kind of music programme that MLC is privileged to run? Dr Faulkner is also involved in a smaller project that is investigating the use of Aboriginal music in indigenous communities for the support of other learning, especially English. “I've had to relinquish my Chief Investigator status in both of these projects, but I'll stay involved in small ways and see what happens later in the year,” he said.